Stay cozy close to the Twin Cities with a stay at the Historic District Bed and Breakfast in Saint Paul, MN. 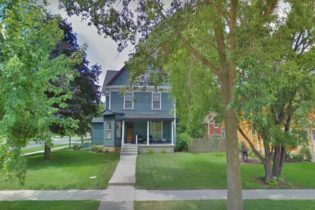 When you come to the Twin Cities- have the experience you crave and stay cozy close to where you need to go, for love, business or just fun at the Historic District Bed and Breakfast. 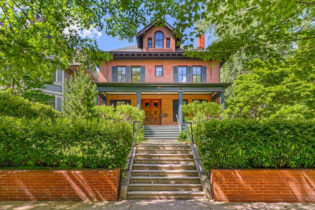 This beautiful, historic home is the perfect place for a restful getaway, for love and romance, for fun, or just a haven of peace in the storm of life. Our Rooms are a combination of old world charm with contemporary style and comfort. One can walk to several restaurants, unique bars, coffee shops, and the Grand Avenue shopping district. In addition, this site is located moments from downtown Minneapolis, close the MSP airport​ and near the Mall of America. Tour the world one room at a time at the Elephant Walk Bed & Breakfast in Stillwater, Minnesota. We welcome you with warmth and serve tasty treats upon your arrival. Be prepared for an adventure with lush surroundings. We have three rooms and one suite, all with whirlpools and fireplaces. Come for a night, return for more. Get a free bottle of wine each time you stay! Welcome to the Elephant Walk Bed and Breakfast, nestled in the beautiful St. Croix River Valley. Stillwater is Minnesota’s oldest and most beautiful town. Your innkeeper Rita invites you to indulge in one of her 4 elegant guest rooms that are a culmination of all her travels and living throughout the world. The guest rooms invite you to different countries like Italy, Spain, the Philippines, and Thailand. Your first bottle of wine is on us, along with delectable chocolates to devour. Rooms feature queen size beds, whirlpool tubs, and fireplaces. Each morning, guests are treated with a four course breakfast to jumpstart their day. Welcome to the Magic Door Bed & Breakfast in Northfield, MN. Conveniently located, it is a home-base for parents and children attending St. Olaf and Carleton Colleges, two top-rated schools that draw students from all over the country. 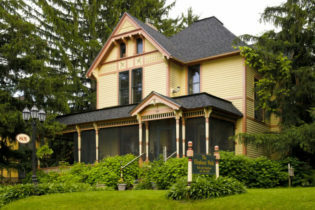 The Magic Door Bed & Breakfast is a stately, three-story Victorian located on a spacious corner lot, just four blocks from downtown Northfield, MN. The house had been both a private residence and a triplex before we purchased it in February 2001 to create our bed & breakfast. As experienced bed & breakfast patrons, we have strived to create the type of place we personally would love to frequent by providing all the amenities we hope to find during our travels and getaways. The Magic Door was featured in the October 2002 issue of Minnesota Monthly magazine as one of nine great weekend getaways. Northfield is a friendly, historic town situated 35 miles south of the Twin Cities on the Cannon River. It is home to St. Olaf and Carleton Colleges, two top-rated schools that draw students from all over the country. Northfield also offers many recreational opportunities such as biking, canoeing, golfing, and hiking in the nearby Big Woods State Park. Just a short walk takes you downtown for dining, shopping, or a visit to the local museum. Stroll along the river walk at sunset, or sip a glass of wine on the outdoor patio of a local restaurant. The Magic Door is open! We hope you will come and experience it.